One of the main advantages of having an online business is the low costs. This is why the idea continues to attract so many people from all around the world. After all, and simply put, you just need to sell some products or services and to show them on a website. While the costs of having your own website are usually incredibly low, one of the things that still stands in a way for many people is the way they manage their website. The truth is that you already have a lot of options when you are looking for a free website hosting. However, what may have seemed impossible a couple of years ago is now a reality: there are free hosting websites companies who actually allow you to use Cpanel. So, how can you get free Cpanel hosting? When you want to create a new website, you need to know that you have plenty of hosting companies who are providing their services for free and that they include Cpanel while others include other control panels. But why should you prefer Cpanel to manage your website? Simply put, Cpanel is the industry standard in what comes to managing your website. While about 90% of web hosting companies us it, the truth is that it can be quite expensive. And this only happens for a reason: Cpanel is the best one you can use, even if you have no prior experience in building or creating websites. 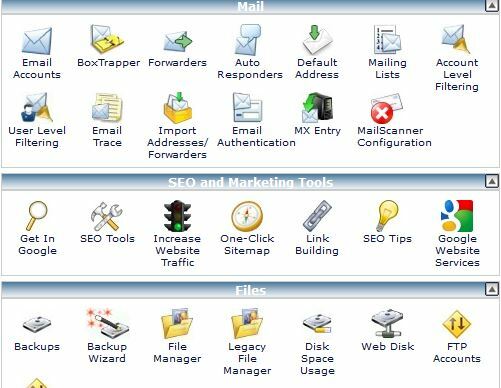 Cpanel is a simple web-based control panel where you can access all the tools you need to successfully administer and manage your website. Things such as creating FTP accounts, managing domains, creating subdomains, using CDNs, setting up email accounts, among so many others are all done through the Cpanel. One of the best things about Cpanel is that you won’t have any difficulties in using it, even if this is the first time you are building a website. The interface is incredibly simple and well-organized so you can see all the tools that you need. In addition, in case you have any difficulties, you can count on a lot of tutorials and guides all over the Internet. After all, since almost all web hosting companies use it, you can be sure that you will see your question answered very quickly and easily. Discover everything you need to know to be successful online. One of the main advantages of Cpanel is that you can access it from anywhere as long as you have Internet. After all, this is just another URL that you have. Besides, it is very customizable and flexible. You can even arrange the different icons so that you have all the tools that you need in just one place. However, in case you mess up with anything, Cpanel has your back. After all, you can count on their own large knowledge-base as well as on the hundreds of tutorials available online for free. A quick search on Google will provide you the answer to all your problems. In case you are a beginner and you are about to start creating your first website, you should definitely go with free Cpanel hosting. After all, one of the things that many beginners don’t want is to do something that can ruin the work they have been doing on their website. However, Cpanel doesn’t allow you to do everything and it does include some things that may be risky or that can cause significant damage. One of the best features that Cpanel includes is, without any questions, the easiness to create backups of your website. With just one click, you can simply backup your entire website. In addition, if you have any kinds of problems at a later day, you can import your backup and have your website up and run once again. As you can see, Cpanel has a lot of advantages that you can use in order to make your website not only easy to create and build as well as easy to maintain. When you are searching for a good free Cpanel hosting, one of the best options that you have is the 000webhost. With almost 11 years on the business, the 000webhost is one of the most reliable options on this list fro 2018. One of the best things about the 000webhost is the fact that you won’t have any problems creating your first website. With an intuitive and fast signup process, and with the aid of the Cpanel, you can be sure that you won’t have any problems. With the 000webhost, you can also use 2 databases and you can use up to 5 email accounts. In terms of the number of websites allowed, you can host up to 2 with 000webhost. As you already know, if you have the option you should definitely consider using a free Cpanel hosting. In fact, one of the best options that you have in 2018 is the AwardSpace. With AwardSpace, you can rely on their hosting services since they are a part of this market since 2003. With the AwardSpace, you can only have one website and you have one email account associated. You also have only 1 database. One of the things that we really like about the AwardSpace is their customer service even when you are a client of the free Cpanel hosting. We have no doubts that the InfinityFree is one of the best free Cpanel hosting that you can use. And the best part is that it doesn’t limit you in terms of the disk space or the bandwidth that you use. In addition, you can host up to 3 websites with them and use 10 different email addresses. InfinityFree is also a good solution when you need to use multiple databases for your website. After all, you can use as many as you can. As if this wasn’t already enough, the InfinityFree also includes the Cpanel which you can use to manage all your websites, check their stats, and access the multiple one-click installers of the multiple platforms such as WordPress, Joomla, among so many others. And since we were talking about not having any kinds of limits with your free hosting account, the Pro Free Host is another company that also allows you to use everything, as much as you want. With the Pro Free Host, you have unlimited bandwidth, disk space, databases, email accounts, and you can host as many websites as you want with them. While the Pro Free Host has only been around for about 2 years, the reality is that they are conquering the market with their amazing features at no charge. Take a look at the best WordPress themes for Amazon Affiliate Marketing in 2018. With more than 10 years in the industry, the x10hosting is another great option when you are looking for a free Cpanel hosting. After all, you don’t have any limits in what concerns disk space or bandwidth. The x10hosting allows you to host 2 different domains and you will be able to use 3 email accounts. And you don’t have anything to complain about if you’re looking to use a database. After all, you can use two databases. One of the best things about x10hosting is that they are very reliable and you can count on the support of the Cpanel to make all the necessary installations, backups, and anything else that you may need. Freehosting.com is one of the oldest companies on this list of the best free Cpanel hosting. In reality, they have been online for more than 20 years which provides them with a unique knowledge and capacity for delivering the best services to their clients. When you are looking for a free Cpanel hosting that besides providing good features is also reliable and stable, you need to consider checking out Freehosting.com. At Freehosting.com, you can host one website and you’ll be entitled to use one email account and one database. In addition, you will also be able to enjoy unlimited bandwidth as well as a good disk space – 10,000MB. While U Host Full is not an old company, they are not new either. They have been online since 2012 and they have been gathering a good share of fans throughout the years. One of the things that we really like about U Host Full is that you can do everything you want, without any limitations. From the used disk space to the bandwidth, including the number of websites that you host with them, everything is unlimited. So, you can either just try U Host Full out with a small website or with a big one. You can even have an e-commerce if this is what you want. After all, since the U Host Full is also a free Cpanel hosting, you have everything you need to create a beautiful website and start getting some visitors. The truth is that while some free Cpanel hosting companies have unlimited features just like what we saw, others don’t. And this is the case of Freehostia. The truth is that this doesn’t make them worse. After all, you may only need to host one small website that allows you to have an online presence. The Freehostia allows you to host up to 5 domains and it includes 3 email accounts and 1 database in the package. As we already mentioned, Freehostia has some limitations. These refer to the disk space which is only 250MB and the bandwidth which is 6,000MB. While the Freehostia may not suit everyone’s needs, if you want to build a small website or test a website that you are creating, this can be a good option. One of the things that we need to mention about Freehostia is that their support is very good. OHosti is just another example of a reliable company that offers free Cpanel hosting. While they have a pretty short history (they’ve been online for about 2 years now), the truth is that their packages are extremely appealing, especially the free one. After all, everything that you can expect is unlimited. One of the things that we really like about the OHosti is that they have been showing a good performance of the sites that are hosted with them. In addition, if you are a beginner and this is the first website that you will be building, you can count on the OHosti support. They are available 24/7 via Live Chat, which is pretty good. AtSpace has been online since 2003 and they are one f the oldest hosting companies in this list. In case you choose to sign up with AtSpace, you will be able to host one domain and you’ll be able to use one email account as well as one database. However, there is a catch. Even though the bandwidth is unlimited, the disk space may be a bit limited – 1,000MB, depending on the website that you have in mind. 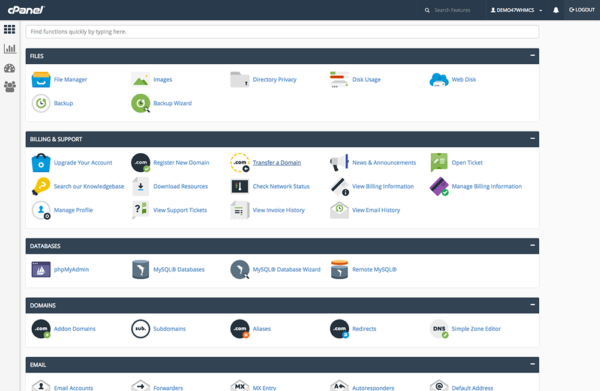 So, if you are looking to try out a free Cpanel hosting, the AtSpace is a good option, especially for smaller to medium-sized websites.